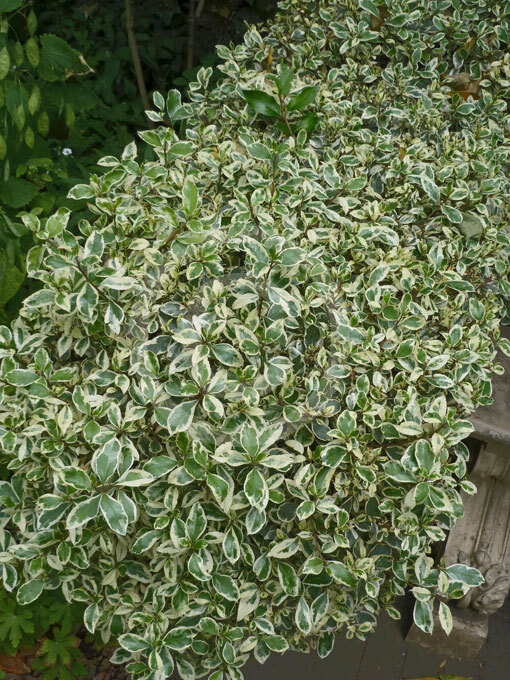 Evergreen shrub that grows in full sun but is tolerant of shade and requires little water once established. The Italian Buckthorn is relatively free of pest and disease problems. Extremely glossy, small and deep green pointed leaves, it can be used as a screen, wide hedge and/or wind break, but also makes striking individual plantings. Insignificant flowers, but are highly favored by pollinators. Slow to get started (5 gallon or bigger is better), after a few years it will take hold and fill out. Grows to about 15 feet tall by 5 feet wide. Can be pruned carefully to meet ones need. Beautiful variegated leaves of the same structure and shape as the Italian Buckthorn, but not quite as tall. Fantastic evergreen for use as screening or a windbreak, this upright conifer is versatile, strong-rooted and virtually disease-free. 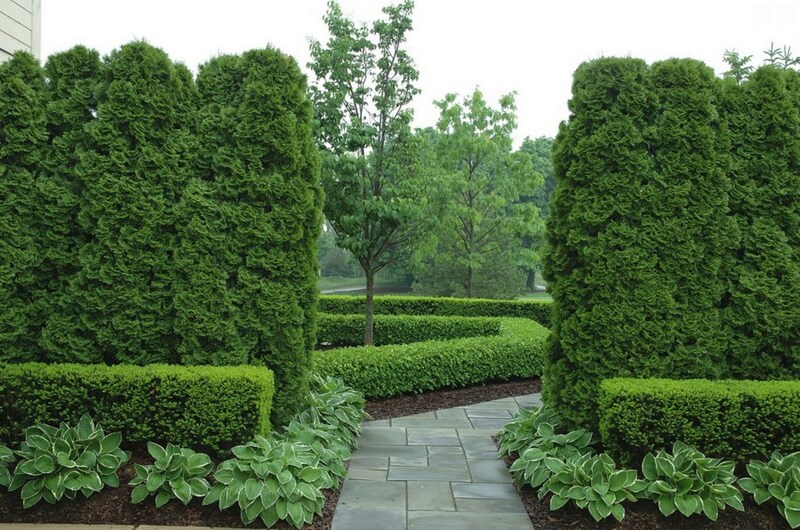 Its uniform shape seldom needs pruning, but responds well to shearing. 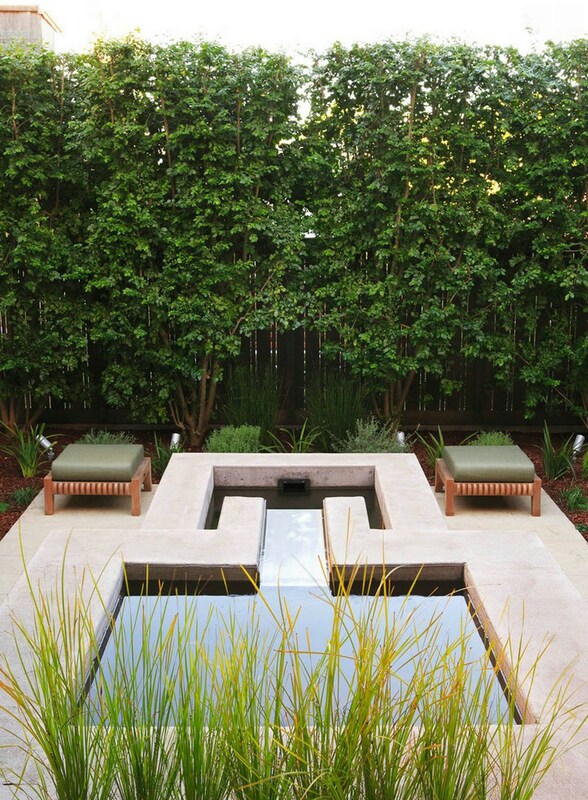 Thrives in southern heat and humidity. Commonly called fragrant winter hazel, is a deciduous spreading, multi-stemmed shrub that typically grows 8-15' tall and features drooping clusters (racemes) of fragrant pale yellow flowers in late winter to early spring before the foliage emerges. Ovate toothed dark green leaves (to 4" long) turn variable but usually unexceptional shades of yellow in fall. Closely related to and in the same family as witch hazel. Another good variety that grows 4 - 6 feet is the Corylopsis pauciflora, also known as buttercup winter hazel. Best grown in acidic, organically rich, medium moisture, well-drained soils in full sun to part shade. Tolerates average garden soils, but not unamended heavy clays. Flower buds are susceptible to damage from early spring frosts. Appreciates a sheltered location in the northern part of its growing range. 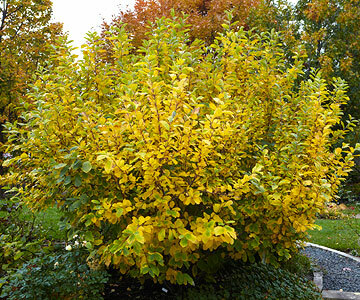 The winter hazel requires an acid soil, as you would prepare for rhododendrons or azaleas. It also requires well-drained soil. 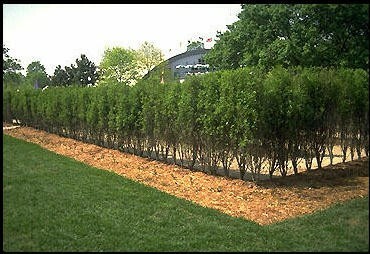 Most varieties do best if they are planted in a spot where they get protection from the hot mid-day sun and severe winds. Plant growth tends to be rather slow.